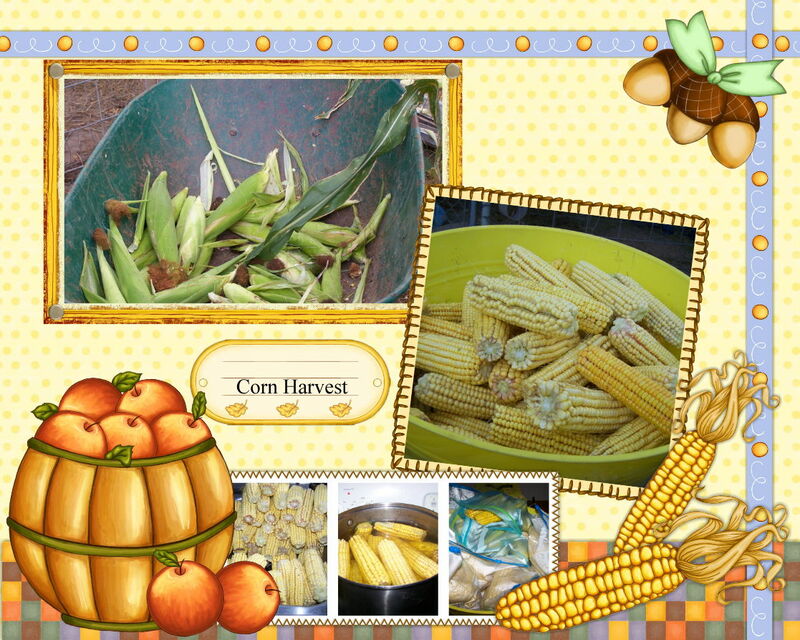 We have tried for several years to grow corn in our garden. Most of the time we would get a few spindly stalks with no ears or we would grow great stalks with scrawny ears. This year after our purple hull harvest, Stewart had decided to plant some corn just to have something to grow in the pea patch. We assumed it would do poorly as it had in the past but much to our surprise it did really well. Shucking corn by the pig pen seemed like the perfect place to do the job. They would shuck the husks and toss them to our pot belly piggies and then cut off any bad spots and give them to the pigs or the donkey. 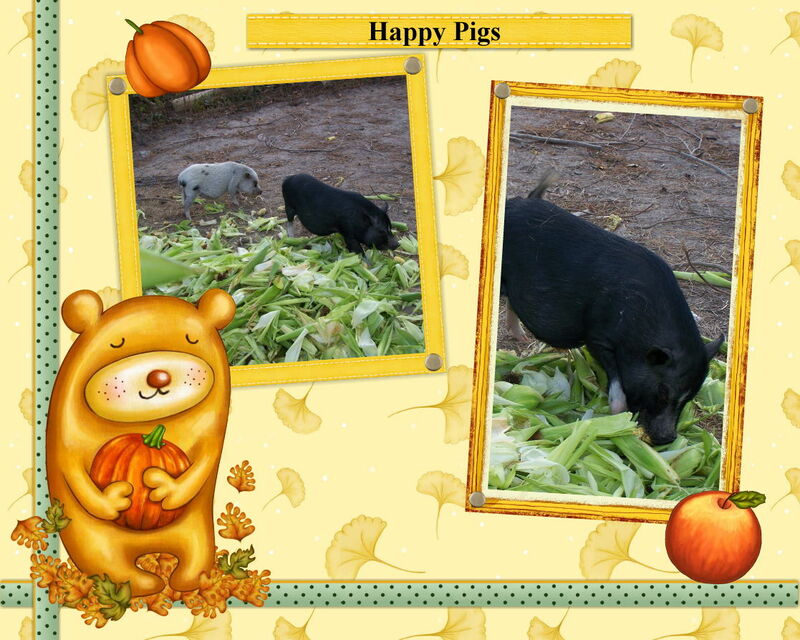 Our little piggies thought they were in Heaven. 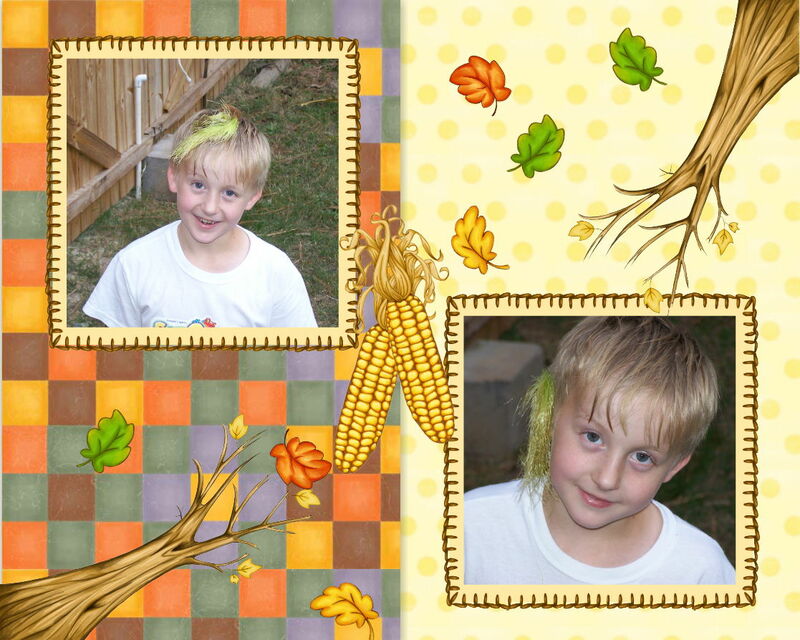 Adam comes up to me with corn silk on his head and says, “Mom, now I know how they make wigs!” I just love that child’s imagination. We harvested over 290 ears of corn off of this small corn patch. We blanched and bagged right around 50-gallon bags of corn on the cob. Thank you, LORD, for such a bountiful harvest. 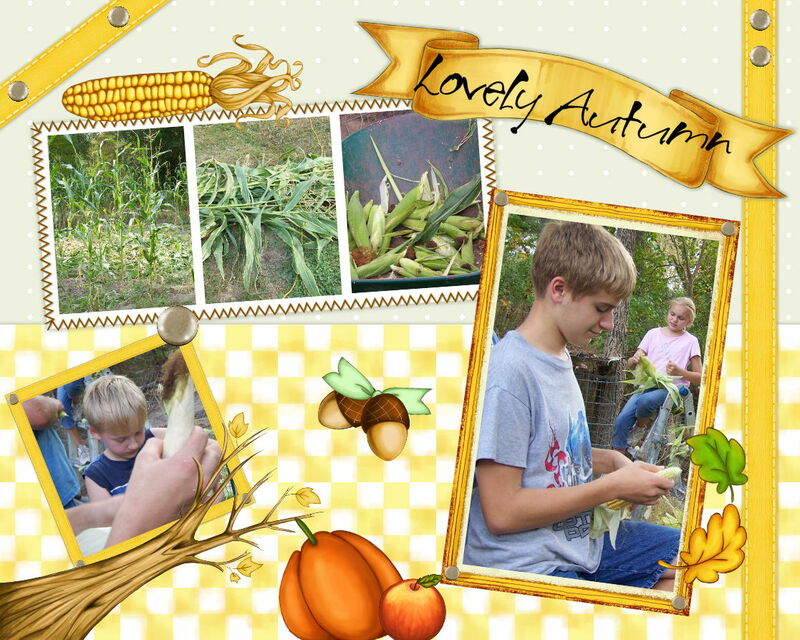 Posted on November 1, 2010, in Animals, Garden, Homesteading and tagged Corn. Bookmark the permalink. Leave a comment.